Ships today if you order in the next 1 hours 3 minutes. 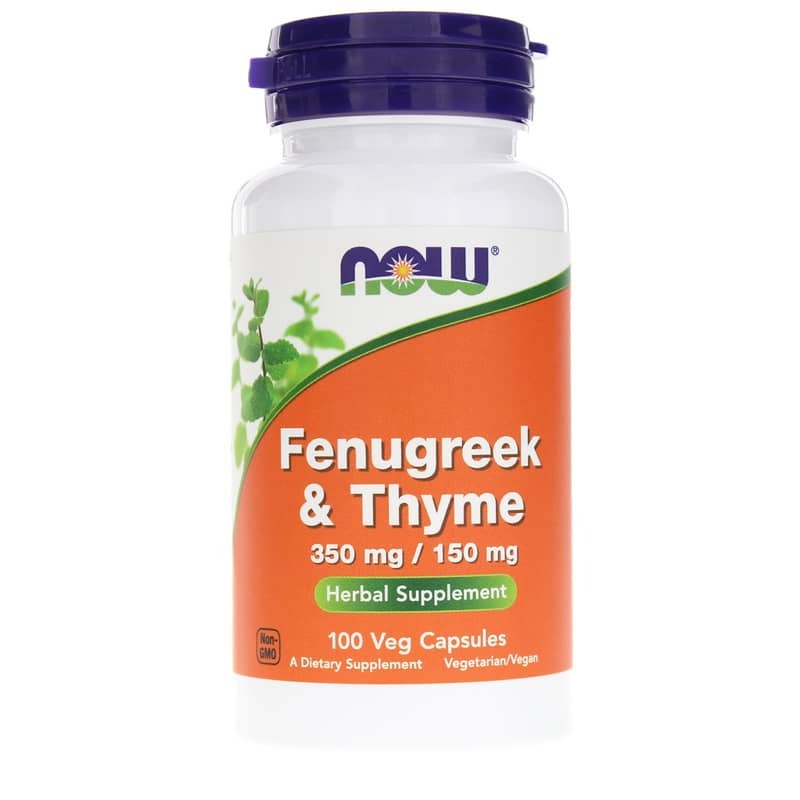 Now Foods' Fenugreek & Thyme is an herbal supplement that may help as a natural decongestant and with respiratory issues. Fenugreek and thyme are herbs that may help relieve irritation and provide expectorant properties to support the expulsion of mucus from the upper respiratory tract. Fenugreek belongs to the pea family, Fabaceae. And globally, it is one of the most popular herbs taken by nursing mothers with low milk production to help increase milk synthesis. In traditional ayurvedic medicine, this herb is viewed as a laxative, a lactation stimulant, and as a demulcent, or a soothing agent that helps relieve irritation. 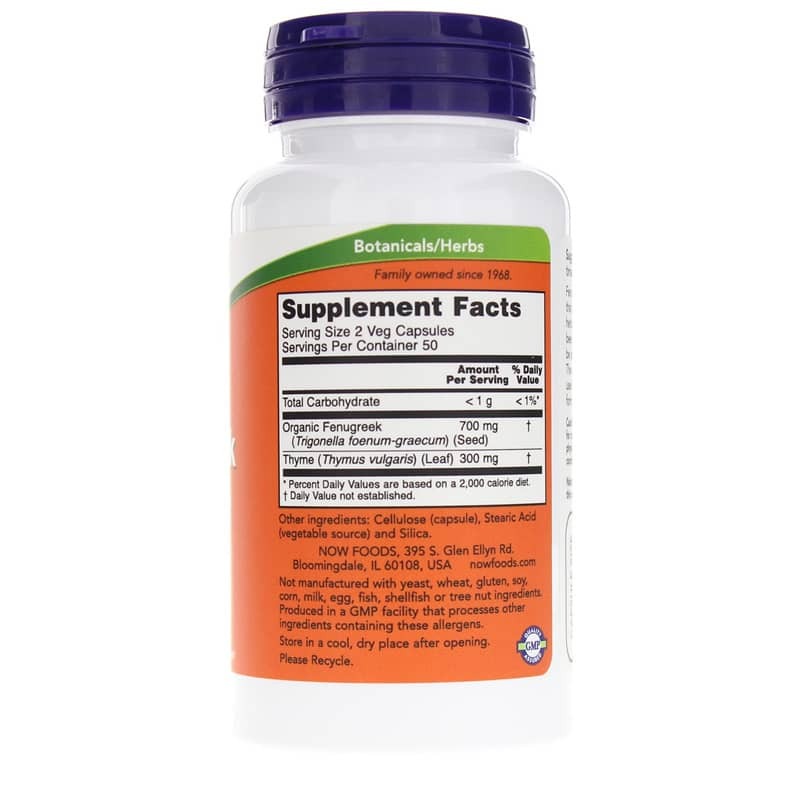 Fenugreek may also help lower blood glucose, cholesterol and triglycerides, and the defatted seed material from fenugreek, may reduce gastrointestinal glucose and cholesterol absorption. While many are familiar with thyme as a cooking herb, it is also part of traditional herb medicine. There are many different species of this perennial but all are members of the mint family. Thyme contains such antioxidant nutrients as flavonoids, terpinene, and beta carotene that help combat free radicals, which play a part in aging and cellular damage. 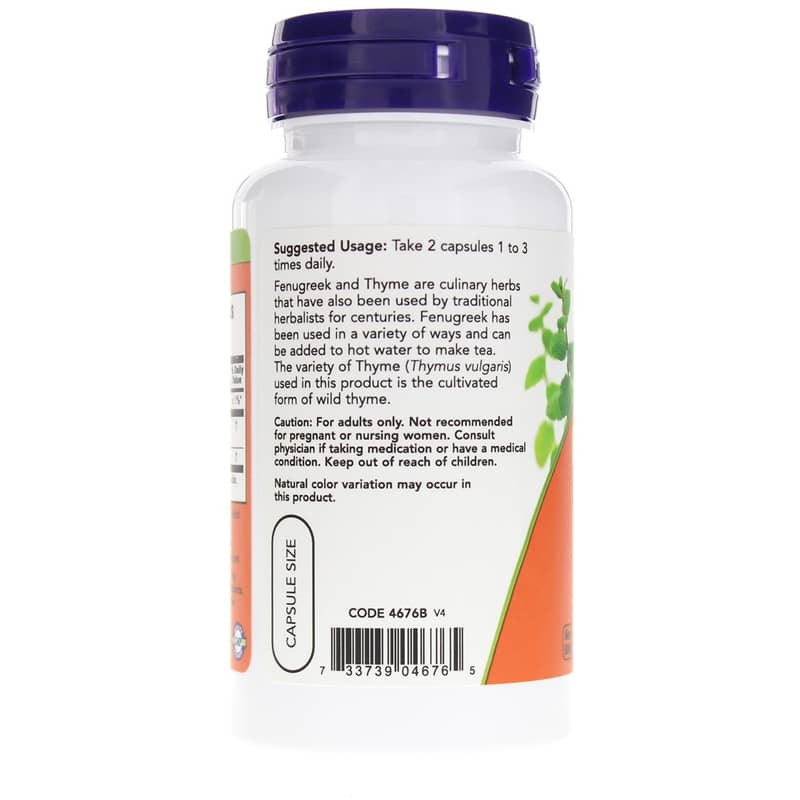 Thyme also contains the antimicrobial agent thymol, which may help fight off harmful microorganisms, including viruses, fungi, parasites and bacteria. Thyme may also help with respiratory conditions, as it has expectorant properties, so it supports the expulsion of mucus from the upper respiratory tract. And tea made from thyme has been traditionally been used for gastrointestinal disorders, including gas and diarrhea. Other Ingredients: cellulose (capsule), stearic acid (vegetable source), silica. For adults only. Do NOT use if you are pregnant or nursing. If you are taking medications or have a medical condition, please consult your healthcare practitioner before taking any dietary supplement. Keep out of the reach of children. I've only had this for a few days so I can't comment on how well it works, but I did receive quick efficient service.